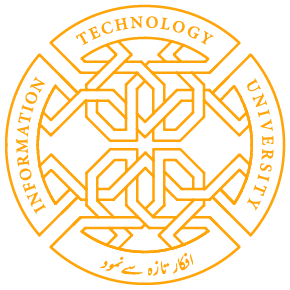 ITU is pleased to invite you for a talk by Mr Robert Varsalone; a Strategic Communication Expert on Wednesday, 14 December 2016 from 11:00 am to 12:00 noon at Auditorium 6th Floor. 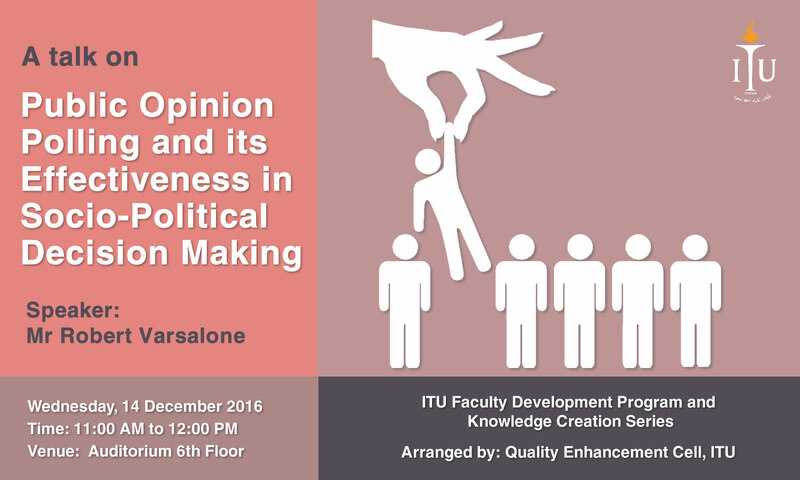 Mr. Robert Varsalone will be talking about Public Opinion polling and its effectiveness in socio-political decision making. There will also be discussion with reference to the latest US elections and opinion polling, and will also be drawing thoughts “what went wrong with the polls” and talk about all of the errors and biases that have been plaguing US pollsters the past few election cycles. Share the post "A Talk by Mr Robert Varsalone on Public Opinion Polling"